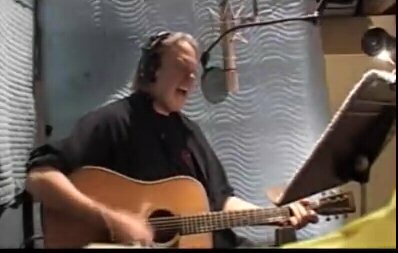 Neil Young News: Video of "The Painter"
Streaming video is now available on iFILM of Neil Young recording "The Painter" in the studio. The video starts with a rehearsal and then goes live in the studio. "If you follow every dream, you might get lost," he sings in the chorus. But he knows right where he is. Other "Prairie Wind" videos available for streaming include "It's A Dream" and "This Old Guitar". I don't know if anyone has noticed, but you can listen to the entire new album on Neil's site.